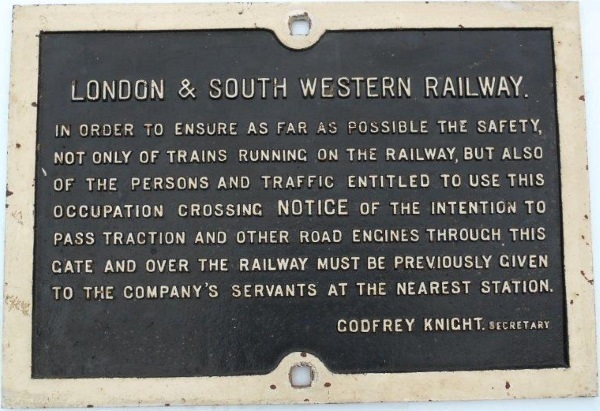 Lot 133 C/I LSWR "OCCUPATION CROSSING NOTICE". 7 lines of text - GODFREY KNIGHT, SEC. Front restored. Size 26" x 18".